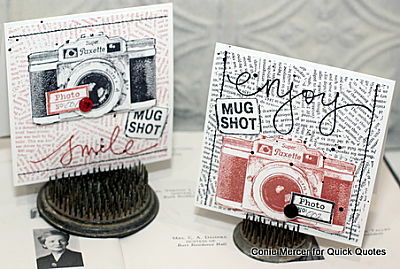 crafty goodies: Try It Tuesday~Camera cards with Darkroom Door! in the Take Ten / Summer issue 2018, that recently hit the stores. sentiment at bottom and top of card depending on which card you are working on. and then trim out and adhere to card front. Add buttons and labels to complete the card. Ink: Ranger /Archival: Jet Black and Red Geranium. is a stockist list ,for stores, selling Darkroom Door products. Take Ten magazine and many other fabulous craft and home magazines. Loveeeeeeeeeee them! LOVING those cameras!!!!!! Congrats Connie!! 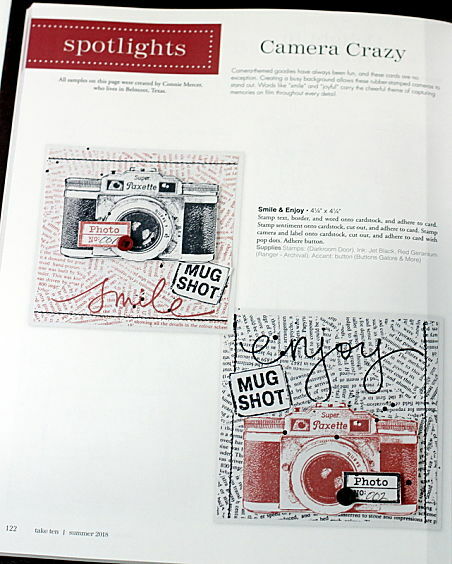 Those cards are soooo cool and I love that camera stamp! Everytime I see a camera I thi k of you. Great job on the cards. Love Darkroom Door! Love the cards! Published shout out to you!